For any young woman, it can be hard to follow the rules … especially when you’re falling in love. But for Rachel, Hindy, and Leah, it’s especially hard. Because as Orthodox Jews, they live by a whole different set of rules. No touching a guy—any guy!—before marriage. No dating—unless they are considering marriage—and then, only marrying a man who rates high on their parents’ checklists. All Rachel’s mother wants for her daughter is to see that her daughter marries well. Naturally, this is where the rich, Columbia University educated lawyer comes in. The problem is, Rachel’s already found a guy who makes her heart race. A Rabbi. But how could a struggling Rabbi possibly give Rachel the security her mother demands? Hindy is very pious and only wants to marry a Talmud scholar. The problem is, she’s in love with an Orthodox Jewish guy she works with. How long can she keep saying no when her heart says yes? And will she be able to stick to her values amidst temptation? Leah wants to be a doctor, but her mother insists she study computers even though she hates computers. Her mom, a struggling immigrant, has fixed ideas about the course to success and marriage—which doesn’t include any of Leah’s wishes. What will it take for Leah to break out of her mom’s—and community’s—expectations and follow her dreams? Brooklyn Love is an amalgamation of romance and straightforward reality. Yael Levy presents the Orthodox Jewish dating scene so realistically that anyone not familiar with the religion or its customs will fully appreciate the story. Brooklyn Love is light-hearted and serious at the same time, sending readers on an emotional roller coaster they won't soon forget. Levy may only be scratching the surface when it comes to sharing how this Brooklyn Jewish community works, but the surface is riddled with passion, life-decisions, and over-zealous parents. Rachel, Leah, and Hindy are the three young woman who primarily tie this story together. They each have lives outside of dating and struggle to find themselves while remaining true to their faith, community, and their own needs and wants. The biggest draw for this story, is how relatable it becomes once you see how much of the characters' lives are problems that everyone faces. Everyone is not always able to see their dreams fulfilled, some having to settle for something less, and Brooklyn Love portrays that truth very well. Yael Levy's debut romance is enlightening as well as entertaining, but leaves just enough room to be authentic! For those who haven’t read Brooklyn Love yet, can you describe the book in your own words? I was writing freelance articles for City Lights, The Jerusalem Post weekend magazine – when my editor asked me for an article on how Orthodox Jews date. I realized I couldn’t do the topic justice in one article. What I had to write was a book. It took four years to write the first draft when my kids were asleep early in the morning and late at night, another four years to learn how to rewrite and polish my craft, and six years to learn about the business. Are Rachel or any of your characters based on anyone you know? Thank you, Yael, for sharing the background on Brooklyn Love! A freelance illustrator and journalist, Yael Levy has been published in numerous venues, including The Jerusalem Post during her three-year stay in Israel just east of the bustling capital city of Tel Aviv. She holds a degree in Illustration from the Fashion Institute of Technology in New York City. But it’s the questioning journalist inside her that has launched a new career in writing literature. 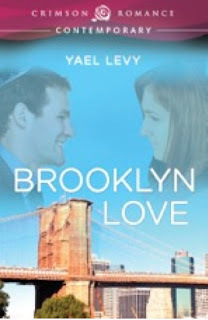 Her debut novel Brooklyn Love (Sept. 17, 2012, Crimson Romance) hones in on Levy’s interest in the underlying thoughts and expressions of the Orthodox Jewish culture. 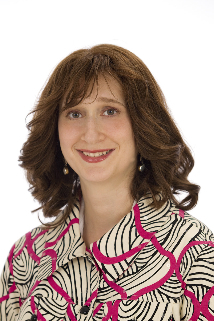 A native New Yorker, Levy currently writes for The Times of Israel about her experiences as a Jewish mother now living in Atlanta. She is also studying for a Masters in Law at Emory University.